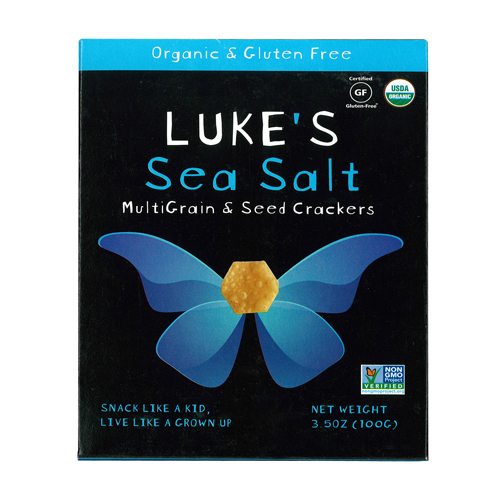 Luke's Sea Salt multigrain & seed cracker crisps are delicious-and loaded with nutritious whole food ingredients. Enjoy by the handful, with dips and spreads, or topped with your favorite cheese. 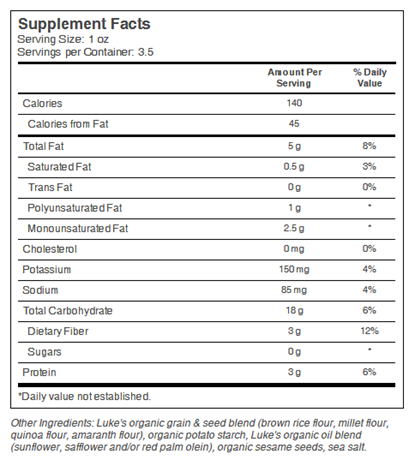 Free of Gluten, soy, diary, peanuts, tree nuts, and GMOs.